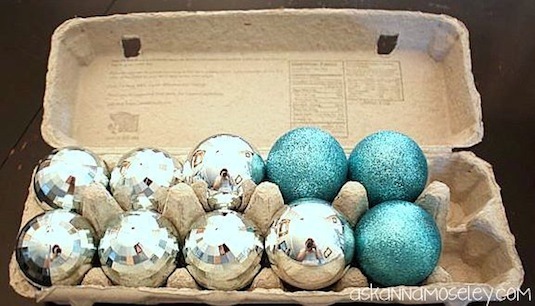 Here’s a cheap and easy way to store your fragile Christmas ornaments without the risk of them breaking! 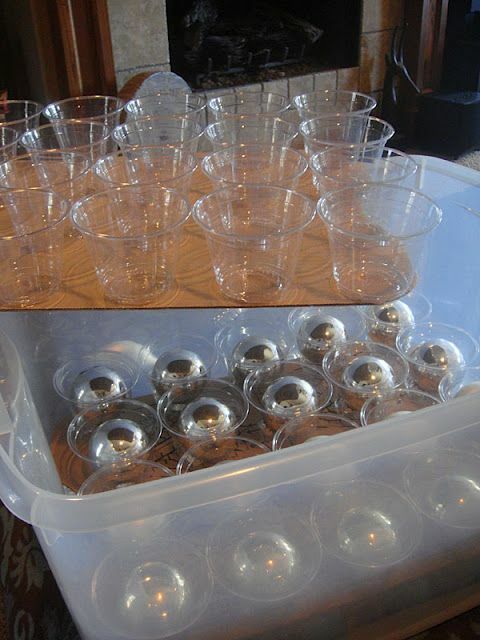 Glue plastic cups to cardboard, and then stack them in a storage bin. 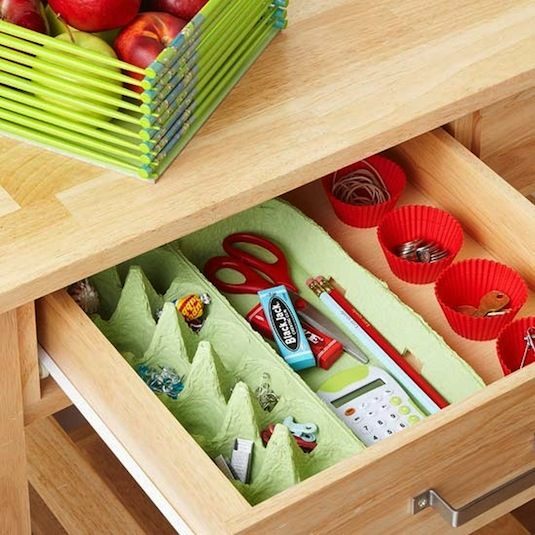 It will also keep the hooks from tangling. I know I’m guilty of piling my ornaments together in a box, and then dealing with the madness of separating them come next Christmas. Great solution!